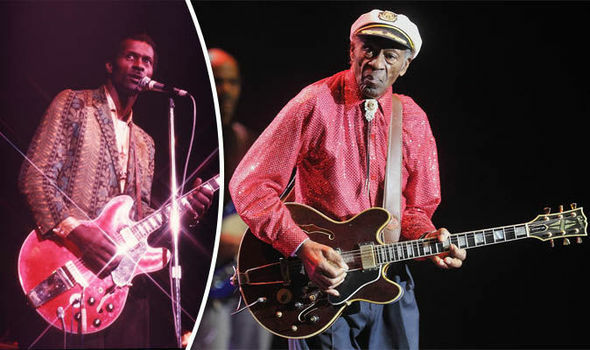 Chuck Berry, the slicked back hair … and oh God, the ‘duck walk’ signature moves that made a lover of just about all music genre but Rock and Roll fall in love with his particular music THOUGH STILL NOT A ROCK ‘N’ ROLL AFFICIONADO from when I first saw images of him strutting across stages back in the 70s, is gone. While age might have slowed him towards the end of his nine decades, I watched a PBS show a few months ago in which he still pulled off The Move. 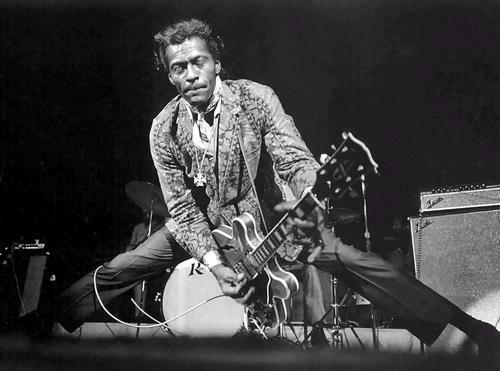 The grand old man of Rock ‘N’ Roll was still as lovable as when I first saw him pull himself up from a near-crouching dancing position and then raced across the stage like a duck. A very slow semblance of The Move drew applause from the crowd. 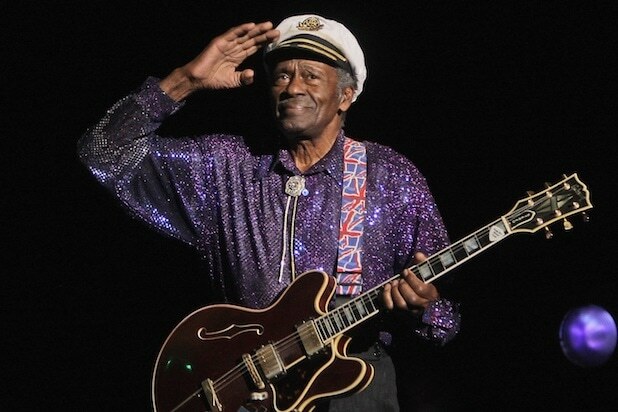 Chuck Berry did not only write arrange,sing, AND PLAYED THE GUITAR, he appeared on the big screen in multiple Hollywood movies. A Rock ‘N’ Roll Hall Famer since 1986, Chuck Berry’s iconic “Johnny B. Goode is the only rock-and-roll song included on the Voyager Golden Record, phonograph records included aboard both Voyager spacecraft launched in 1977 to show the diversity of life on earth during the period.” [wikipedia]. The ‘Johnny B. Goode’ phonograph had great musical company: Beethoven and Stravinsky. He is survived by his wife, Themetta (m. 1948) and their four children. What a life! May his soul find abode with his maker and the angels. I could remember him when we were boys in those days. May his soul rest in peace.